The Court decided to take the case on Friday and it is the first case that was taken after Justice Brett Kavanaugh joined the Court. “We stand at a moment when the very issue at the heart of this case — the interplay between private entities, nontraditional media, and the First Amendment — has been playing out in the courts, in other branches of government, and in the media itself,” the attorneys from MNN wrote in their letter to the Court asking it to take the case. 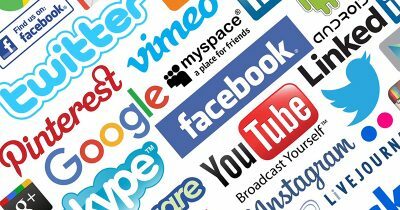 The Court could either rule in MNN’s favor, rule against it in a narrow scope that does not affect other companies, or it could rule in a broad manner that would prevent the abilities of private networks and Internet companies to limit or censor speech on their platforms. It comes at a time when Facebook has purged around 800 independent media pages in one day. The media outlets ranged the spectrum from far left to far right and many that either had no political affiliation or were not extreme in their politics. Facebook claimed that the pages were engaged in “inauthentic behavior” and as a private company it does not have to answer to anyone regarding how it enforces its terms of service. ACLU attorney Vera Eidelman said Facebook, as a private company, can enforce their terms however it sees fit, but that could result in serious free speech consequences. The MNN case could change that and force Facebook, and other companies, to protect users First Amendment rights. Carmine Sabia Jr. is a Christian Conservative political pundit, writer, radio host and editor who covers political news and current events. Featured image is from Citizen Truth.